7140 Office Circle Drive | Woodward Commercial Realty, Inc. 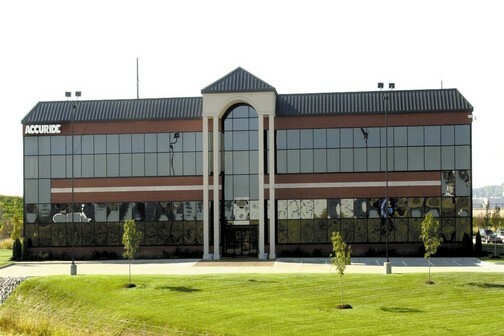 This facility is located on Lots 9 through 12 in the Burkhardt Crossing subdivision, a Woodward Commercial Realty development. This Class A world headquarters has a multi-story structural framing system and a weathertight, MR-24®, standing-seam roof system. A Snap-It™ architectural roof system provides a mansard roof accent on all four sides of the building. The walls are brick, limestone, and glass. The building features a conference room designed for global communication in a theater-style setting. The computer room allows monitoring of widespread manufacturing plants. Other features include conference tables in the office areas, a two-story atrium, an employee cafeteria and meeting area, and a fitness facility with showers.